my least favourite of the lot is washing up. its something worth saving up for. Compare dishwashers but what I didn't know is there are four different types. We currently live in a small one bed flat and our kitchen is tiny. If we were to buy one we would have to decide which dishwasher would best suit us. and lack of space would mean it would be ideal for us. dishwasher and that is because we happen to live in a hard water area. As we live in a hard water area we should also use Rinse Aid and Dishwasher Salt. have by making sure we know ways of making sure we save energy, water and money. On behalf of Dishwashing Expert. I wouldn't have the first idea of which dishwasher to go for or even what are the best features of such a machine. I'd have to read up on it first. 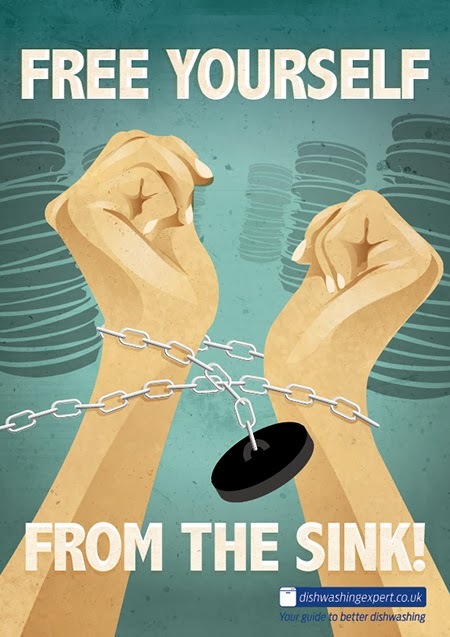 We wash the dishes the old-fashioned way!